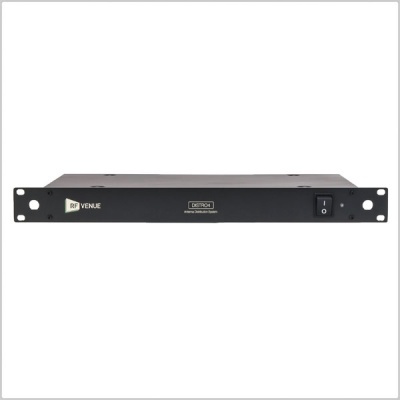 DISTRO4 distributes diversity RF and DC power across four wireless microphone receivers of any brand. 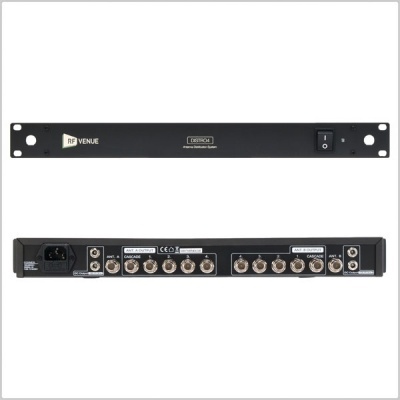 A true “distribution amplifier,” DISTRO4 splits signals from two antennas (or one Diversity Fin) connected to the rear panel and amplifies them before delivering the signals to multiple receivers in a rack. 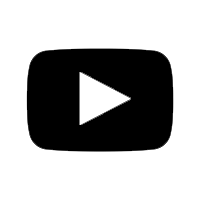 An additional cascade port is included for daisy chaining multiple units together to accommodate up to 16 receivers per antenna pair.